The Fate of the Elephant by Douglas H. Chadwick. From Amazon.com: On assignment for National Geographic magazine, Chadwick spent most of two years observing elephants in American zoos and throughout Africa, India and southeast Asia. He also followed the ivory trade, visiting carvers and shops in Tokyo, Delhi, Hong Kong and Bangkok. His marvelous account depicts elephants at work and at play, profiles the people who work with them and sadly notes that their habitat is in decline. Chadwick’s description of his African adventures covers much of the same ground as Ian and Oria Douglas Hamilton’s Battle for the Elephants; his report on the Asian elephants is especially welcome, since their story has been generally neglected. Chadwick visits an elephant reserve and a training camp in India; an expert on white elephants takes him to see the King’s herd in Bangkok; in Malaysia, he watches a rescue team capture and relocate a wild elephant. In addition to telling many fascinating stories, Chadwick reminds us that the elephant’s future is bleak: too many people, too little land and unstable goverments all threaten the animal’s survival. My thoughts: I have always had a thing for elephants. There is something so regal, commanding, and majestic about them. Each time I go to the zoo, I stand captivated by their size and, frankly, odd shape. When I finally stop being mesmerized, and finish memorizing the elephant facts board, I become sad. There are many programs going on to save the habitats of elephants. They are a vital part of the eco-system and a species that needs to find balance with its human neighbors. I know that I may only ever see an elephant in a zoo and that is especially disheartening. I would love to one day see an elephant in person in Africa but I know that may not happen, so while the zoo does not suffice, it is a place I can admire them and be awed. ANYWAY, back to this amazing book. The way Chadwick depicted these animals you would have easily thought them human — the way they play, love, and socialize are just amazing. This book was published in 1993 and many of the facts are out of date but I think it is still a good read. It’s important to be reminded of the world we share. I love reading animal behavior books, so this sounds right up my alley. While I’m not necessarily an elephant fan, I am intrigued by the travel aspects of the book. Is there much scene and place description? Nice pick! 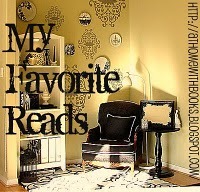 If you’d like, you can check out my My Favorite Reads. I read the book a long time ago but he does do a lot of traveling to observe elephants if that helps.